Behavioral science keynote speakers and best-selling authors media appearances and conference presentations. This is the first thing that Brian Massey and Joel Harvey, co-founders of Conversion Sciences, will say as they walk out on stage. That’s when the audience knows they are in for a rare treat — an entertaining presentation with a human touch and a beaker full of humor. how to increase eCommerce sales. designing for the mobile web. creating persuasive copy and imagery. applying behavioral science to landing pages. developing a culture of experimentation. optimizing the customer journey experience. Their credibility in the space in unassailable. They have been testing and optimizing websites since 2001. Here is where you will find them. 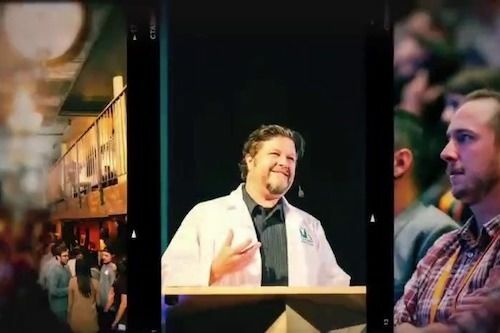 Brian Massey is the original Conversion Scientist™ and he has the lab coat to prove it. 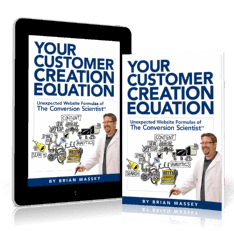 He is an international keynote speaker and author of the best-selling book, “Your Customer Creation Equation: Unexpected Website Formulas of The Conversion Scientist”. 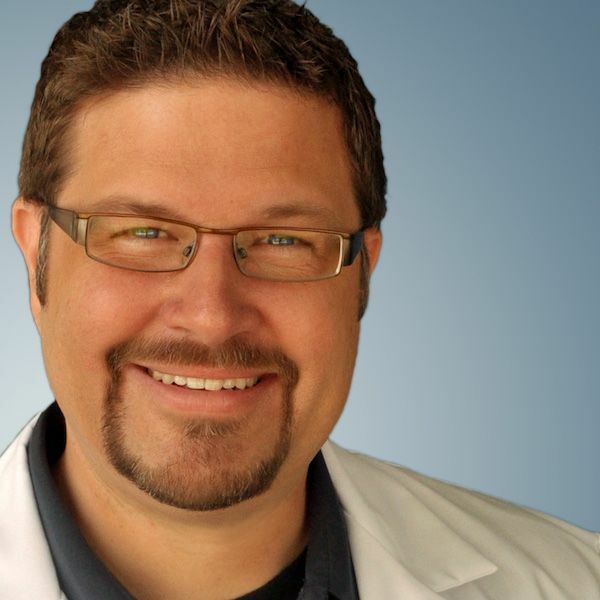 Featured in dozens of podcasts every year, his insights are quoted in The Conversion Scientist, ClickZ, Search Engine Land, HuffPo, and the Content Marketing Institute, among others. Brian was named #1 Rated Speaker at Affiliate Summit East 2016. 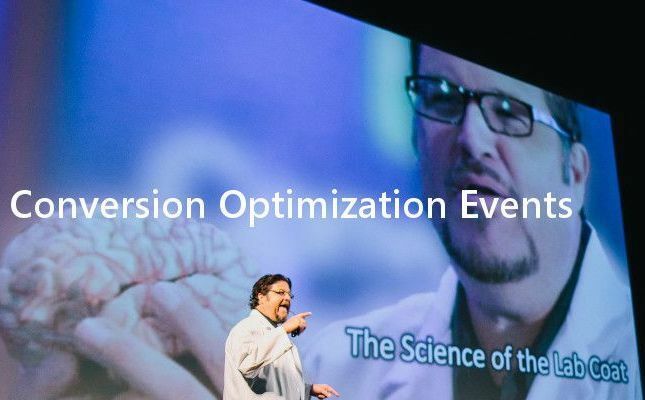 Conversion Optimization for Every Business Masterclass full day workshops: Digital Summit Series 2017-2018. Atlanta, Detroit, Dallas, Denver, Ralleigh, Phoenix, Kansas City, Los Angeles. Unbounce Call to Action Conference, Vancouver 2014. 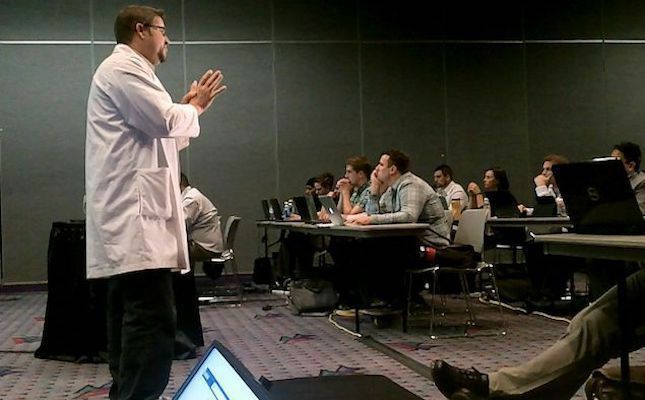 Conversion Optimization for Content Presentation: Marketers Content Marketing World, Cleveland, OH, 2013, 2016, 2018. Book Brian for your next event or press inquiry. Brian uses humor and passion to capture an audience. Conversion Optimization Events Brian Massey Presenting. Will you have Brian at your event? 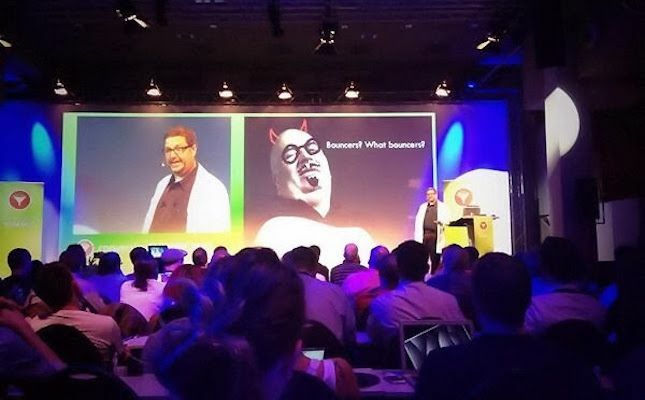 Brian Massey presenting lab coat conversion summit bouncer. 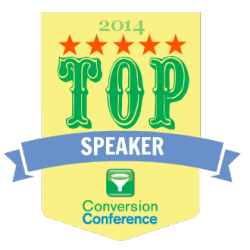 Conversion Conference Top Speaker 2014: Joel Harvey. Joel Harvey leaves nothing on the table. He has developed a proven process to find extra revenue for any type of businesses. He is humorous, highly-rated and manages to make a lab coat look pretty dang good. Book Joel for your next event or press inquiry. All inquiries receive a copy of Brian’s foundational book. Book our conversion scientists for your next event or press inquiry. or complete the form below to book Brian or Joel for your next event or press inquiry.